What is an All-In-One Seat? An all-in-one car seat is a child car seat that can be used from birth and until the child can ride without a car seat, using the adult seat belts. In short, this is a seat that can be used in rear-facing mode, forward-facing mode and as a belt-positioning booster. 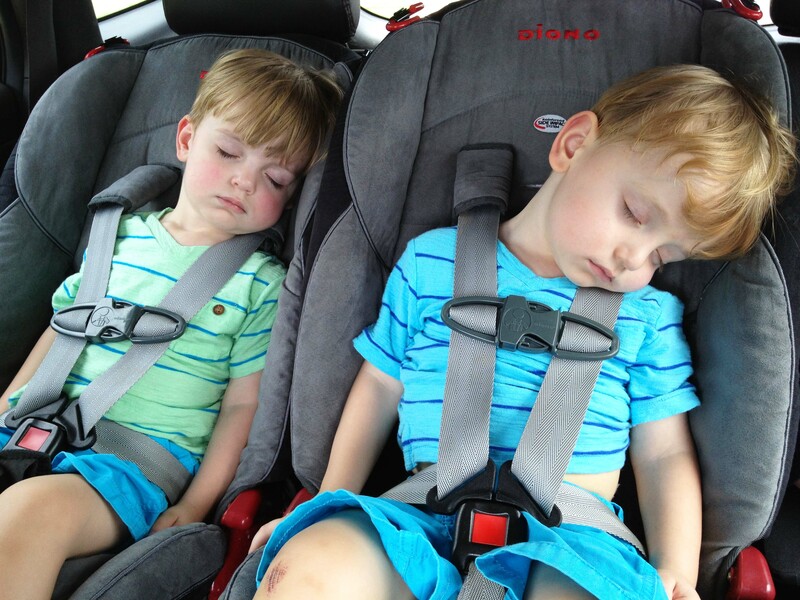 The main advantage of a 3-in-1 car seat is its extended lifecycle. They are designed for use by children of all ages for a reason. The best all-in-one car seat 2017 may easily serve up to 2027. An all-in-one car seat incorporates all the elements other types of car seats have because it can be used as any of them. Such a seat possesses a harness that can be retracted or removed, has two orientations, both forward facing and rear facing, and can guide the vehicle’s seat belts to position them correctly. We advise that you familiarize yourself with how other types of car seats function since the 3-in-1 car seats do not just share similarities with them but combine all the types in one seat. Car seats that incorporate all three types of car seats naturally perform exactly like other car seats of any specific type, depending on how it is used at the moment. In any event, the rate of fatal injuries is substantially decreased, according to the CDC data. By how much, again, depends on how it is used. Unlike single-purpose car seats or even simpler convertible seats, an all-in-one car seat is meant to be used from birth and until a child car seat is no longer necessary. But that does not mean that there is no limit. First of all, there are weight limitations. Most of the time, the lowest limit is about 5 lbs. The uppermost limit varies more greatly. Sometimes, it barely exceeds 80 lbs; sometimes, it is well above 120 lbs. Secondly, there are age limitations for the transition from one mode to the other. Those very depending on the specific seat. There, naturally, are some inherent pros and cons in using an all-purpose car seat. The advantages are rather obvious. An all-in-one car seat is fully sufficient for the child throughout their childhood. You can purchase it when the baby is born and discard it when they grow up and start traveling without any child card seat. Not only is that convenient, but it is also a good way to save money. On the other hand, any multi-purpose tool, equipment or device is inferior to a one-purpose one of the same or similar quality. The same thing is true for car seats. An all-in-one car seat is less convenient, most of its design has been dictated by the need to account for transformations. While not lacking in safety, such seats may not as safe or as comfortable as some other one-purpose seats. Nevertheless, the can still be better and safer than other seats although they would most surely be more expensive as well. Additionally, some seats may not qualify for being all-in-one due to how poorly they perform in one or two capacities, but those will not be included in this review. First of all, it should be noted that Safety 1st are not known for making the very best booster seats. 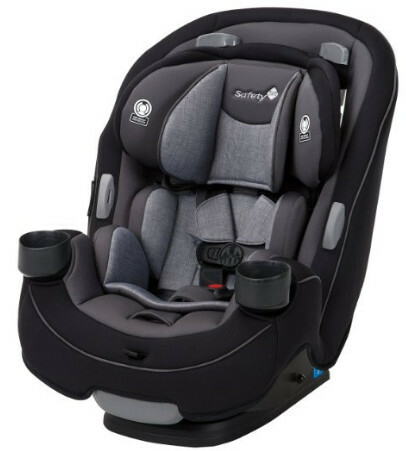 They undoubtedly are good when it comes to rear-facing child car seats and, sometimes, forward-facing car seats, but their boosters are not just as good. In fact, two of their booster seats have been labeled as Not Recommended by the IIHS. 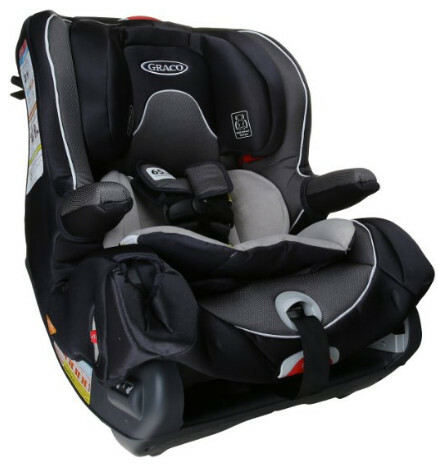 Consequently, the 3-in-1 car seat, while good, might be found as inadequate in booster mode. Nevertheless, this same seat has been evaluated as a Good Bet by the IIHS. The Continuum can accommodate children from 5 to 80 lbs. That includes children from 5 to 40 in rear-facing mode, from 22 to 50 lbs in the forward-facing mode, and from 40-80 lbs as a booster seat. The seat itself is fairly lightweight, only 19 lbs. The seat offers Side Impact protection. It comes with 3-position recline as well as a seat pad which is machine washable and dryer safe. A cup holder is added for the child’s convenience. To sum everything up, the Continuum is a little below average as far as prices go. It is one of the advantages the seat has, other than it is meant for children of all ages. The Continuum is rather safe a seat. The SmartSeat can accommodate children from 5 to 100 lbs, which is the norm for most child car seats. It can be used for children from 5 to 40 lbs in rear-facing mode, from 20 to 65 lbs in forward-facing mode and from 30 to 100 lbs as a booster seat. Do note that the weight limits overlap greatly and you can choose early or late transition if you so wish. 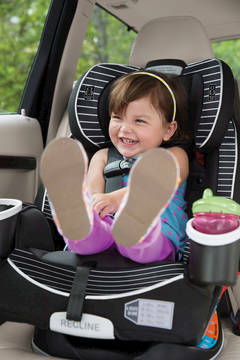 The seat performs best as a toddler seat, although it is an adequate choice for other ages as well. The safety features the SmarSeat provides are not insignificant by any means. The seat comes with a steel frame that increases its durability and rigidness, thus improving its performance in the event of a car crash. The EPS energy absorbing foam is used to make side impacts safer for the child, protecting their head from violent impacts. The 5-point harness can be easily removed when it is the time to use the seat as a booster rather than a forward-facing car seat for the child and parents’ convenience. Additionally, the seat comes with a cup holder. The price of the SmartSeat is above average. The reason for that is that the seat is well-balanced for a multi-purpose seat and has a wide weight limit. 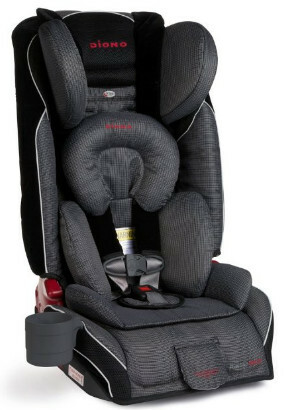 A seat from Safety 1st, the Grown-and-Go performs best as a simple rear-facing or forward-facing car seat. It is adequate as a booster, but you should not expect anything outstanding of when the final mode is considered. Nevertheless, the seat is rather inexpensive, and because of that would make a good purchase, even though it does not provide anything other than the most basic features. The seat can accommodate children from 5 to 100 lbs, including from 5 to 40 in rear-facing mode, from 22 to 65 in forward-facing mode and from 40 to 100 as a belt-positioning booster. All of the numbers are rather average for each of those modes. The Crow-and-Go is equipped with two pillows that grow with the baby and provide a snug fit. They are quite easy to remove when the child no longer needs them. The seat comes with a basic side impact protection which has been thoroughly tested. For the parents’ convenience, the Grow-and-Go is equipped with a three-position-recline, and it is very easy to adjust it thanks to that. The seat is also a compact one. The seat’s main advantage is its relatively low price. It does not have any extraordinary features but it does provide adequate safety for the child. It is also very compact and can be installed in smaller cars. This seat is unique in how wide its weight limit range is. It can accommodate children from only 4 lbs up to 120 lbs. Not many seats can be suitable for so many children. The 4ever seat is good for children from 4 to 40 lbs in rear-facing mode, from 20 to 65 lbs in forward-facing mode, and from 30 to 120 lbs as a booster. Do note that in booster mode two mode sub-modes can be defined since the seat can be used in the high back mode and in the backless mode. In the high back mode, it can accommodate children from 30 lbs to 100 lbs, from 40 to 120 lbs in backless mode. The safety of this seat is not something Graco have neglected, they are not known for manufacturing poor-quality child car seats, after all. 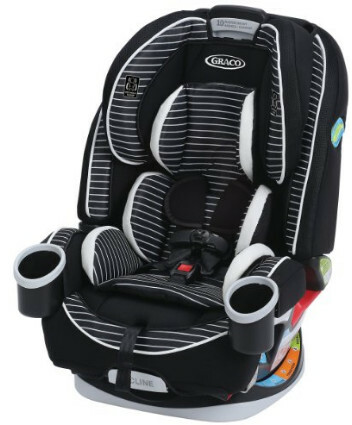 The seat is reinforced with a steel frame and is equipped with a 10-position headrest and 6-position recline for the comfort of the little passenger. The 4ever seat provides a perfect side impact protection. It is equipped with Simply Safe Adjust Harness System for the safety of the child. 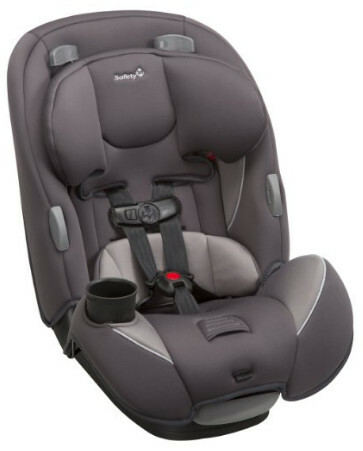 The seat has been crash tested with peak crash force of approximately 2X car seat standard. The 4ever seat’s price is above average. The seat has a great price and quality ratio and a number of additional security features. Other than a 3-in-1, the Radian RXT is a compact car seat. The seat is suitable for children between 5 and 120 lbs. It can accommodate children from 5 to 45 lbs in rear-facing mode, from 20 to 80 lbs in forward-facing mode, and up to 120 as a belt-positioning booster. The seat meets the FAA’s standards, and, as such, it can be used for air travel as well. As a matter of fact, not many car seats are FAA certified, and because of that, the Radian stands out. Of course, the wide weight length and the sheer universality of this car seat are not its only advantages. The Radian is one of the safest seats in the world as well. It is reinforced with a steel frame, the side walls are layered with EPS energy absorbing foam for additional side impact protection, and the harness is energy absorbing as well to reduce the rate and severity of injuries in the event of a frontal collision. For the comfort and convenience of the child, the Radian is equipped with a cup holder (up to 3 more can be added) and memory foam padding. Memory foam is often used in mattresses because of how it can relieve pressure points. With it, long-term travels will no longer be an issue. The main advantage of this seat is that it can be used installed in small cars and used for air travel. It comes with standard safety features and is extremely comfortable for the child. At the same time, the price is not outrageously high.